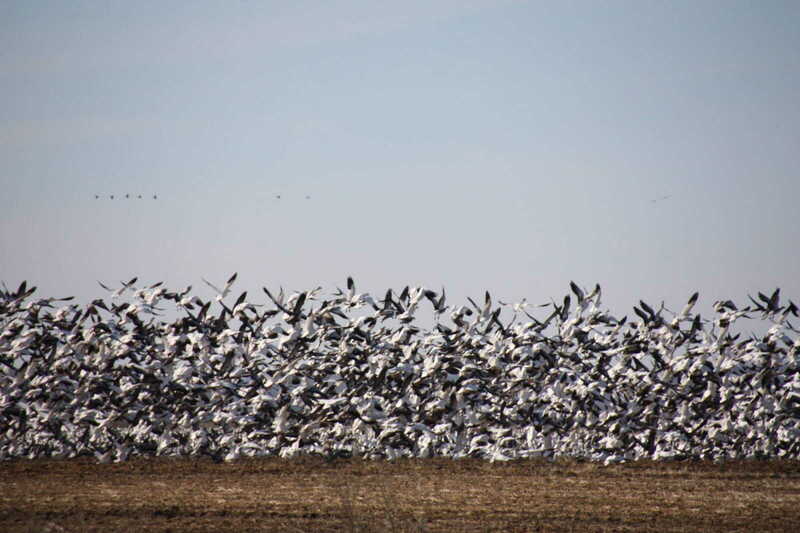 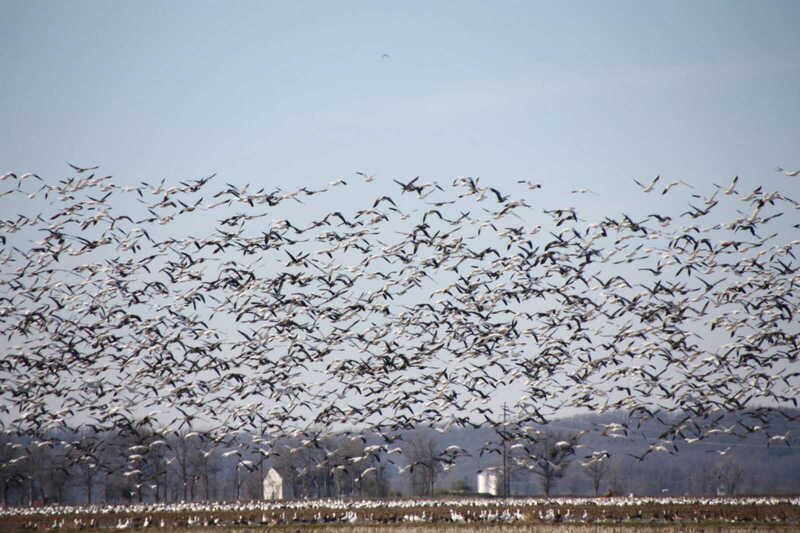 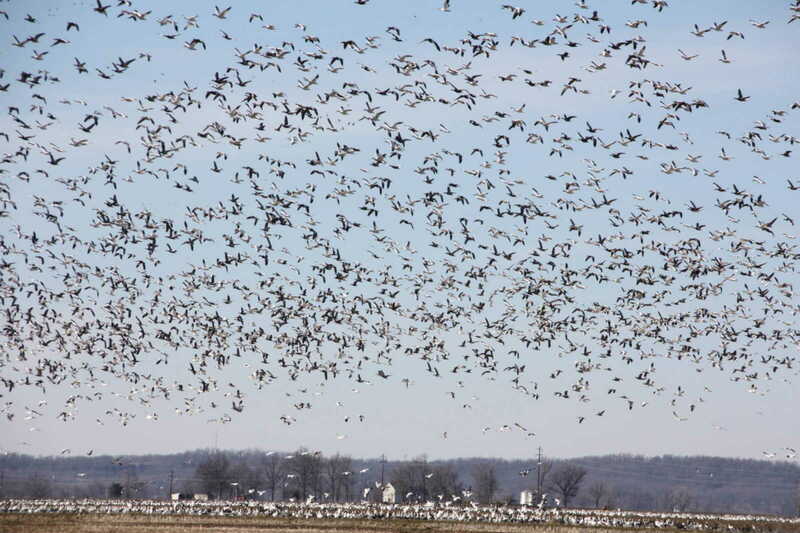 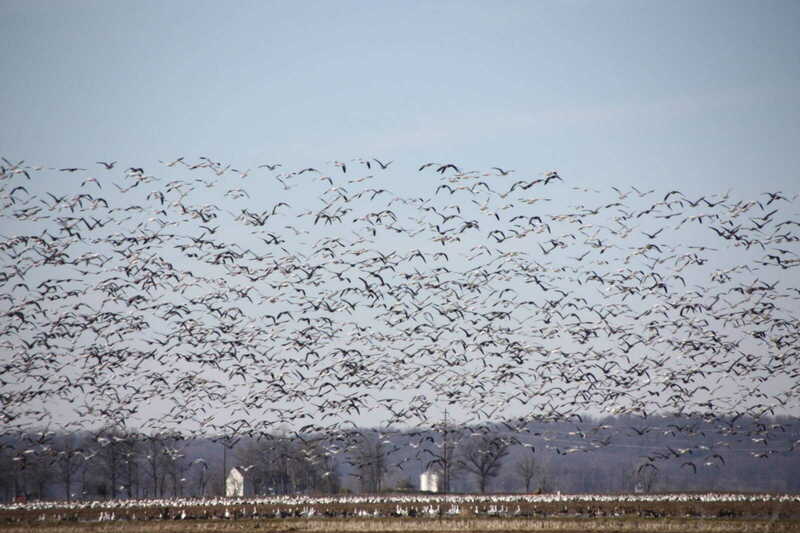 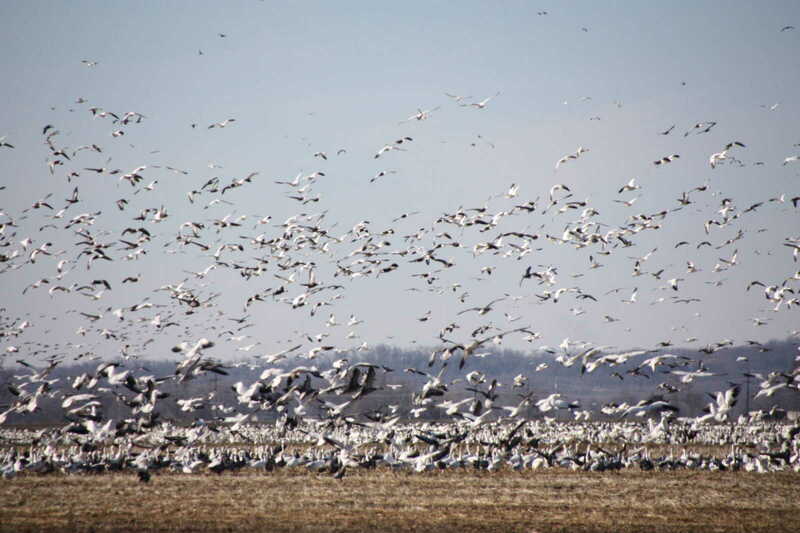 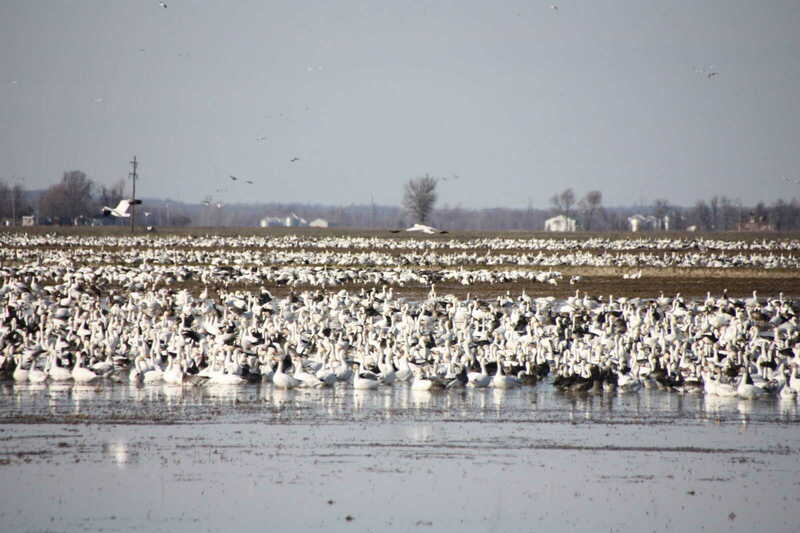 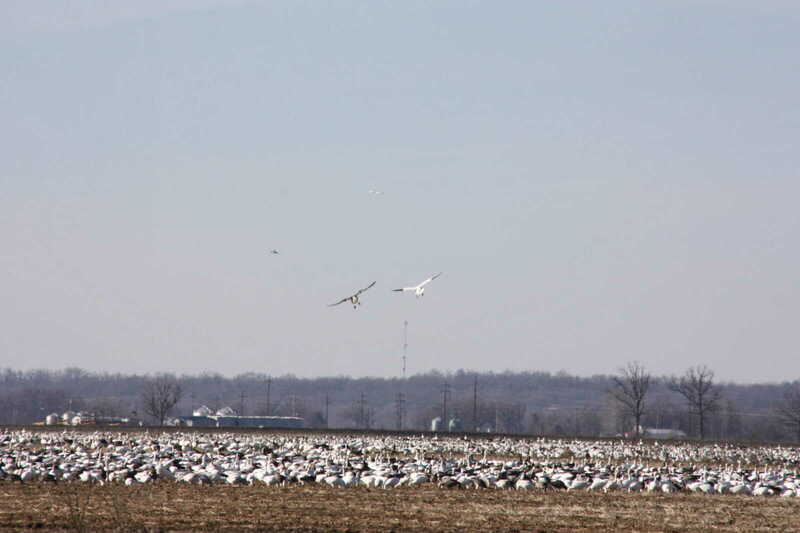 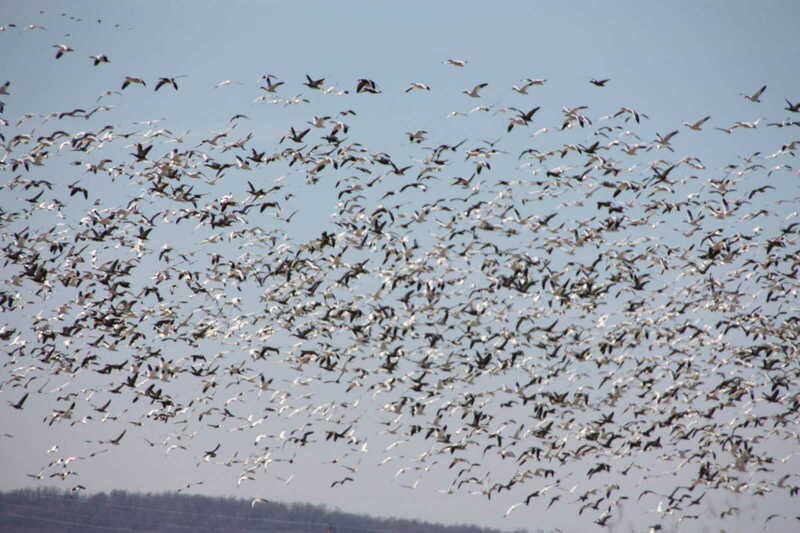 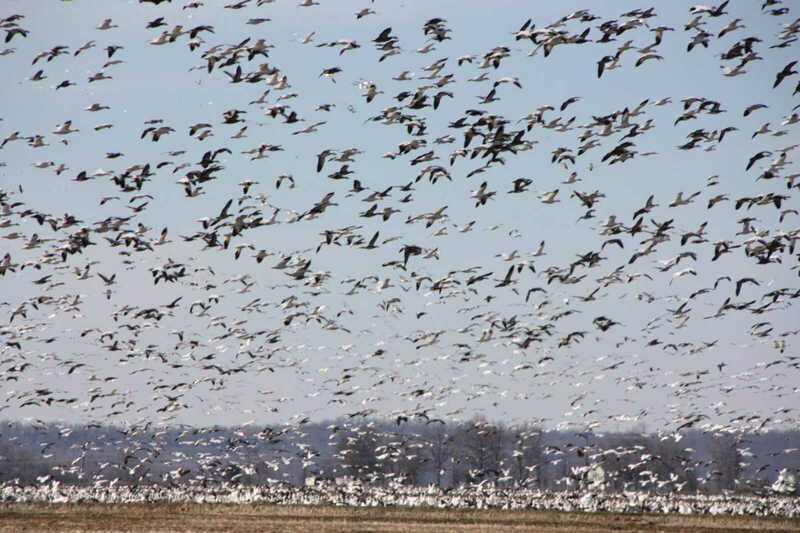 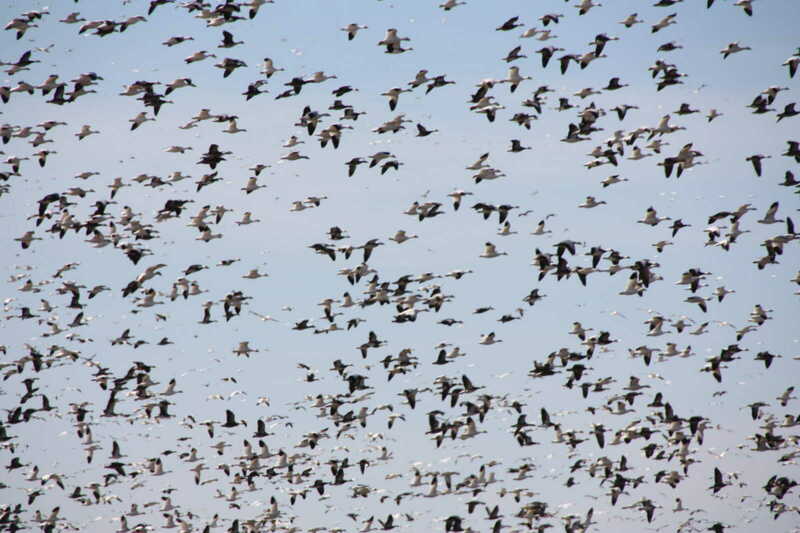 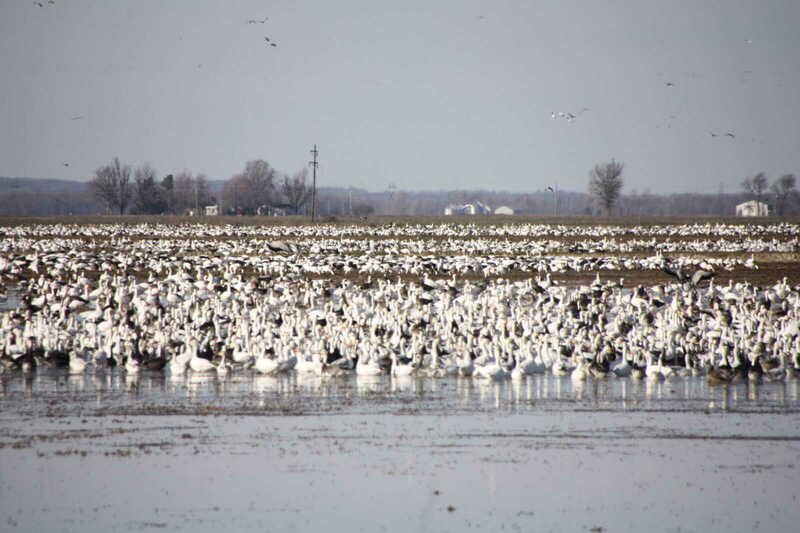 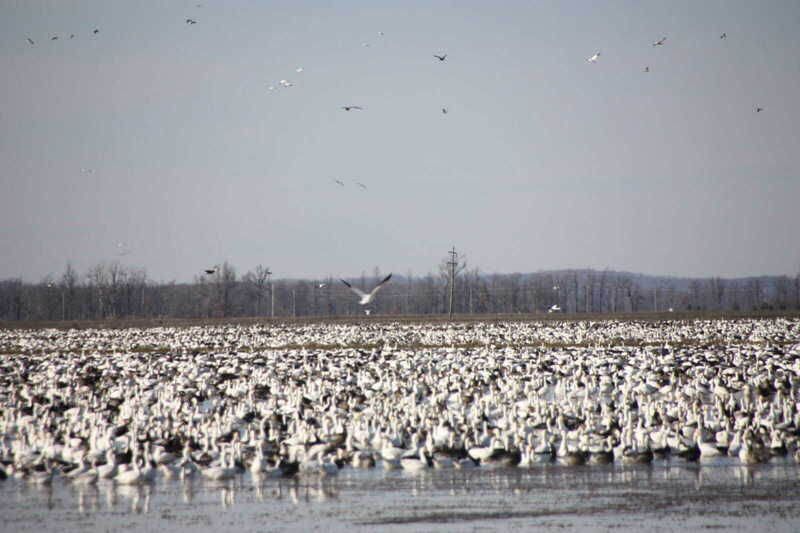 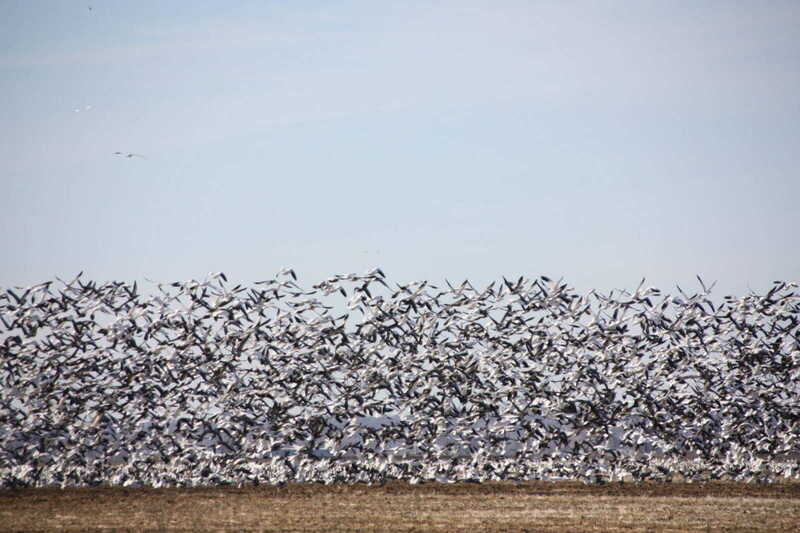 Significant numbers of snow geese have been witnessed in the are in recent days (mid to late January 2013). 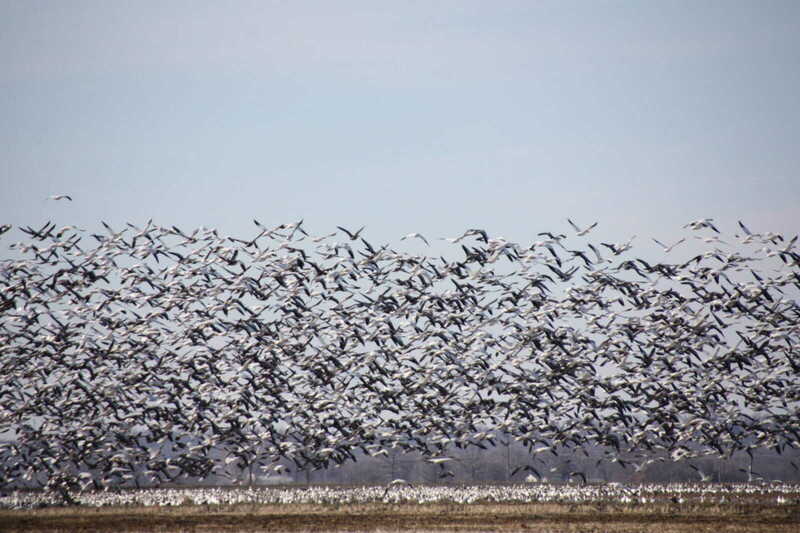 Department of Conservation experts explain that the birds are on their way north, but have found comfort in the region between the current cold in the north and the warmer temperatures to the south. 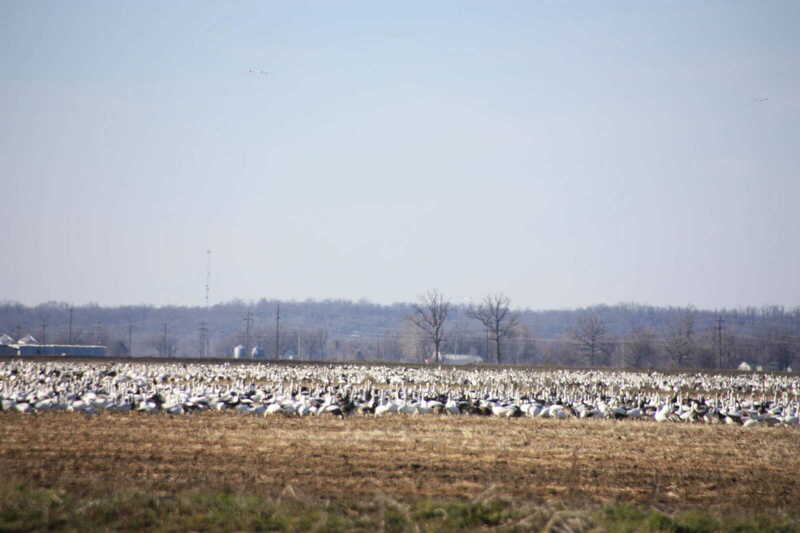 Plentiful food sources also seem to make for a comfortable temporary stay. 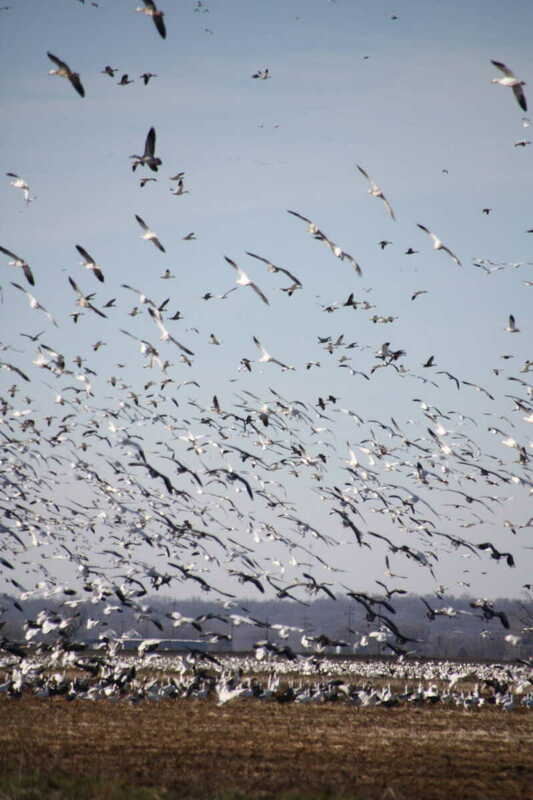 The birds pictured were found on the north side of Highway 60 Sunday, Jan. 20, close to the Morehouse area.